MEET THE ARTIST at the opening January 10th, 7-10pm. Fine Artist & Illustrator Crystal Beshara learns to embrace her multiple artistic personalities in her newest solo exhibition FIGHT or FLIGHT at Orange Art Gallery, January 2013. It’s no wonder Crystal Beshara is feeling a little fearless. In 2011, she was honoured with a second grant from the renowned Elizabeth Greenshields Foundation which supports young artists working exclusively in realism. The prestigious award was given in recognition of a stripped-down, incredibly personal series of highly realistic self-portraits featured in her new solo exhibition FIGHT or FLIGHT. Beshara’s self-portraits – the first of her career – are but one aspect of this artist’s paradoxical body of work. A visit to her crowded Ottawa studio would yield not only a glimpse of different mediums: oil, watercolour, pen & ink, pastel & pencil, but their accomplished use in works varying in style and subject from earthy, textural rural Ontario landscapes and detailed English pastorals, to hot, saturated Southwestern scenes, all now complimented by her new, contemporary portraits. While such variety demonstrates diverse skills, one thing remains Crystal clear – a true artist’s love of realism, rendered with passion and perseverance. Beshara knew she would be an artist from the age of five and sold her first commissioned painting at the age of 13. At 17, she tearfully abandoned her homestead to pursue her Bachelor of Fine Arts in the very contemporary Studio program at the University of Ottawa. With her roots deeply established in realism, Beshara did not bend when it was heavily challenged and declared dead as a genre. She was not dissuaded when told by her professors that watercolour was a “Sunday Painters’ Medium” and not to be taken seriously. Upon graduation, her unique, self-taught technique earned her an elected fellowship as the youngest member of The Ottawa Watercolour Society at the age of 23. In 2007, she was elected to the International Guild of Realism. Since then, she has received a diploma from the Society of Botanical Artists (UK) and been a popular guest speaker for young and experienced artists at galleries, schools and conventions. Beshara has created her own line of watercolour paintbrushes and is working on her first instructional video. She opened her home-based studio and art school in 2008 and continues to run a series of very successful painting workshops in various destinations including France, England, Mexico and Santa Fe, New Mexico. Beshara has had four children’s books published and recently found herself doing artwork props for several characters for a new Canadian television drama hitting the airwaves in 2013. Beshara has found that her multiple personalities have served her well. It is in fact an appeal to her own complex needs as an artist. She spent years struggling with the idea that streamlining her skills would be more beneficial but, as it turns out, it was only when she finally submitted to these differences that she discovered she got back so much more. What viewers get in return are honest, passionate, immediate depictions of what is at the forefront of her imagination when they are created, whether it’s a children’s book or a piece of fine art. At a studio sale in 2010, she sold 34 pieces in less than 4 hours – all ranging in size, medium and theme. Her almost sell-out show at Orange Gallery was a much welcomed affirmation that there is indeed a niche for her very rural subject matter. her various trips abroad. Her highly narrative work begins with carefully selected images which are then edited, sketched and re-composed to reveal the essence of the subject or story. listening to her inner voice and in doing so has found that sometimes it is in fact the sum of parts that is greater than the whole. 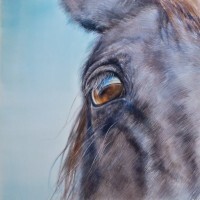 Fight or Flight highlights her personal, professional and artistic journey over the last few years and showcases portraits in watercolour, pencil and oil. 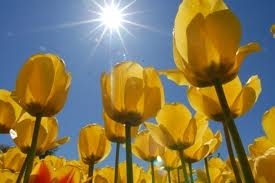 And there are tulips there too! 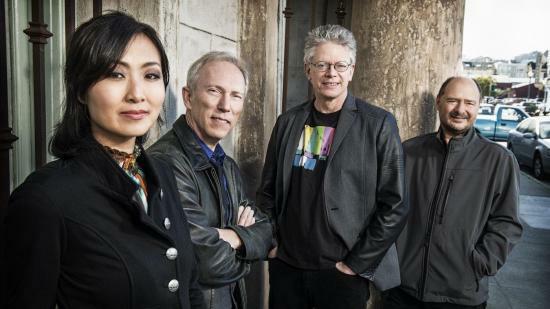 David Harrington, founder and violinist of the renowned Kronos Quartet, reflects on a career of boundary pushing music.